Uyghur Christian Alimujiang Yimiti was sentenced to 15 years imprisonment for allegedly leaking "state secrets to a foreign individual." The unfair charge and conviction was based on two private conversations between Alimujiang and an American friend. There is no evidence to suggest their conversations included any sensitive information, pointing to Alimujiang's innocence. 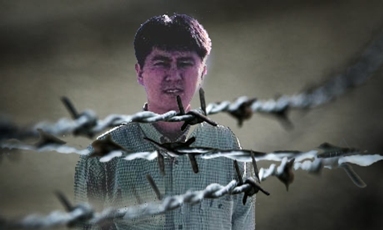 After he was detained on January 12, 2008, Alimujiang Yimiti was held illegally for over one year without sentence. Originally accused of conducting illegal religious activities, he was finally given the severe sentence of 15 years for "leaking state secrets" in August 2009. The verdict followed two secret trials, the first held in May 2008, and the second in July 2009. Alimujiang Yimiti is a peace-loving and upstanding Uyghur Chinese citizen. Formerly an adherent of Islam, he has been a Christian believer since 1995. As a house church leader in Kashgar, he was very aware of the ethnic tensions in the region Uyghur people and lived out his faith and ran his business with commitment to promoting genuine inter-ethnic harmony and love for all peoples. Alimujiang's shocking sentence and brutal treatment is an unjust reaction to his choice of religious belief and his ethnic status. His sentence violates Article 36 of China's Constitution, which acknowledges religious freedom for all Chinese citizens. Furthermore, the illegal actions of the Xinjiang courts, double-jeopardy secret trials, severe sentencing, and harassment of Alimujiang's lawyers violate Chinese law, and the Universal Declaration of Human Rights and the International Covenant on Civil and Political Rights, which the People's Republic of China has signed.